Welcome to all about voice. Join the Bel Canto Revolution! SING WITH A HEALTHY VOICE! ​Are you having a VOCAL CRISIS? I struggled with vocal problems and re-occurring vocal nodules FOR YEARS, until I FINALLY FOUND THE RIGHT MENTOR who taught me Bel Canto singing. THESE ARE THE KIND OF TESTIMONIALS THAT MAKE ME HAPPY! “I’m Over the moon with my voice that is slowly but surely emerging as a result of your positive and uplifting advice and support. ​I feel so lucky to have come across your story and work at what I now think is a pivotal time in my musical journey. You have totally changed my attitude towards singing and how important placement and release is. Listen to the lawrence vocal system in action! 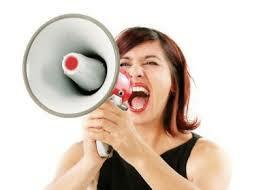 Is Your MESSAGE Being Heard?? An effective speaker is one who is HEARD AND UNDERSTOOD. Would you like to be a FEARLESS public speaker? Is your own self-judgement holding you back from being a confident performer? At All About Voice, it's all about total wellness for your voice, body, mind, and Spirit. I love developing the brilliance in others. Whether you're a Singer, A Presenter, or someone with Parkinson's disease, helping you to express yourself more clearly and confidently is my goal. My utmost intention is for you to feel good about yourself! I'm here to help you to realize your BEST SELF! Please explore All About Voice and find the SOLUTION you've been searching for! You'll receive my Free singer's voice tonic recipe when you join us! My Voice Tonic Recipe will soothe a hoarse, scratchy voice.